Oaxaca is the gastronomic center of Mexico. 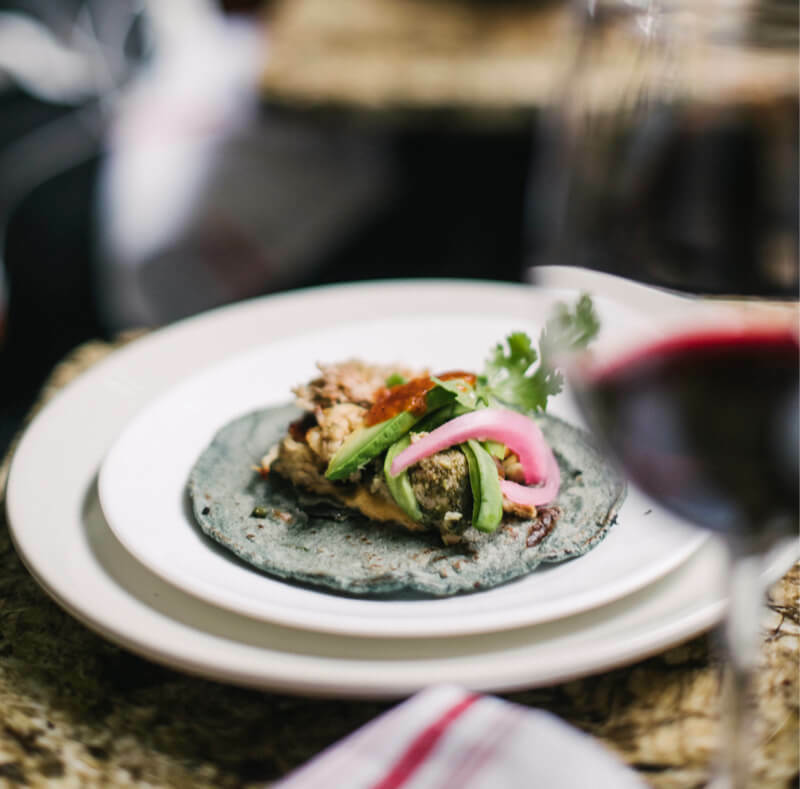 You’ll never taste rich mole, a crunchy tlayuda, a street taco - or a handful of roasted grasshopper chapulines - the same way again. Mexico City-based writer Anais Martinez, a.k.a. the Curious Mexican, eats for a living and offers us seven must-try spots for dining and drinking in Oaxaca. Warning: You are about to become seriously hungry. This intimate Oaxaca market isn't overwhelming in size, and it's a great spot to start off your day. Walk right to the middle of the building, until you find the unmistakable sign of a flower on a wall signed with black markers. 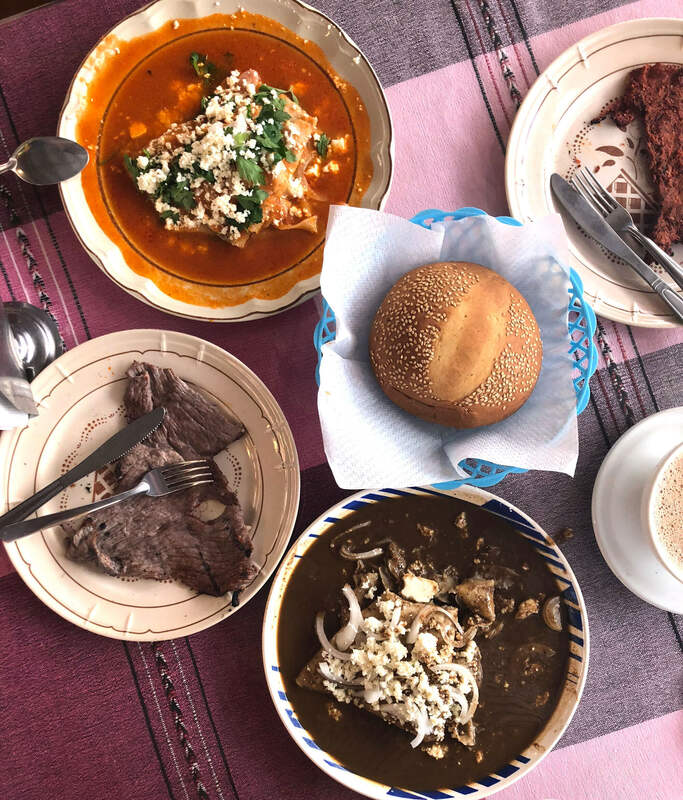 Take a seat at one of the communal tables and start with a chocolate de agua (chocolate infused in water) and a pan de yema (egg yolk bread); and as dictated by Oaxacan laws, tear chunks of bread and dip in the sweet, warm drink right before eating it. Then continue with enfrijoladas or entomatadas, made with the traditional over-sized tortillas and soaked in a black bean sauce or a tomato sauce respectively. 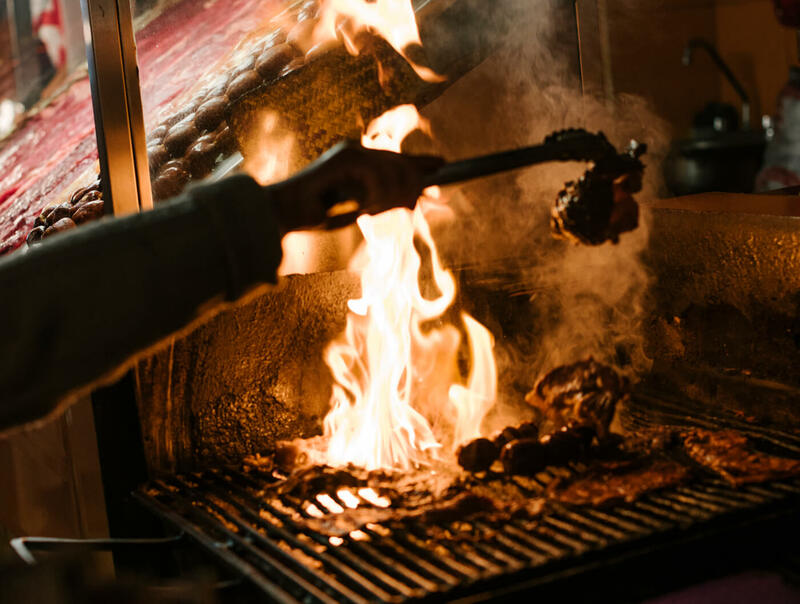 Protein choices are tasajo (cured, air-dried beef) or cecina (thinly sliced pork, rubbed with chilies and spices); you’ll get it on a different plate so you can decide if you want to add to your main dish. Most days you’ll find musicians around, who are there to cheer up the atmosphere. Established back in 2011, Origen is run by young chef Rodolfo Castellanos, who comes from a family involved with the food industry. 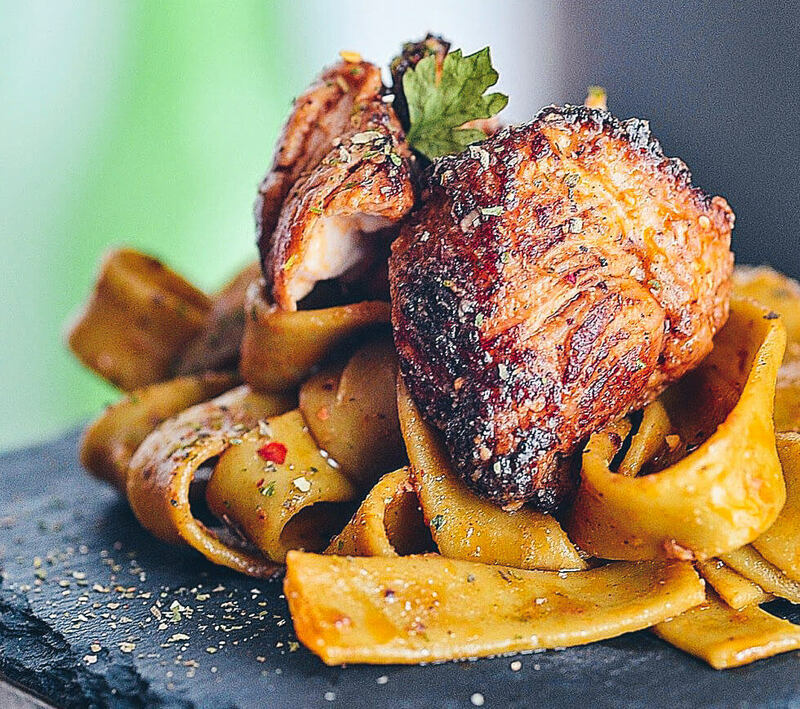 It puts a creative and modern twist on traditional Oaxaca recipes, resulting in delicious and beautifully executed food. With a fun, young decor and an amazing attention to detail which transmutes into every meal. Start by choosing a drink from their beverages menu, with great selection of wines, Oaxacan craft beers, and mezcal-based cocktails. Then go for a taste-bud refreshing dish, like the ceviche, with its crisp subtle taste and its beautiful and colorful decoration. For deeper, more intricate flavors go for the barbacoa (slow cooked beef) served with homemade pasta and topped with a poached egg. 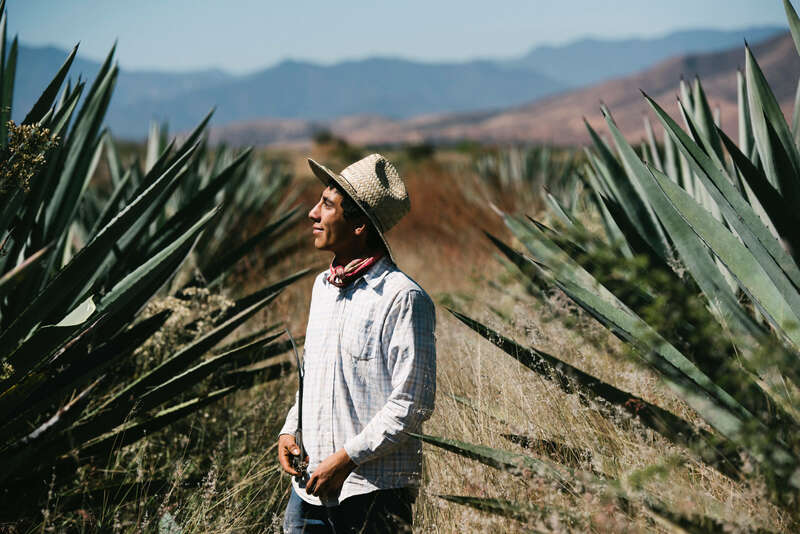 The variety of the beloved local spirit offered at this mezcalería is breathtaking – and could even be overwhelming. The best thing to do is to let owners Ulises Torrentera and wife Sandra take you on a journey through their favorite choices. 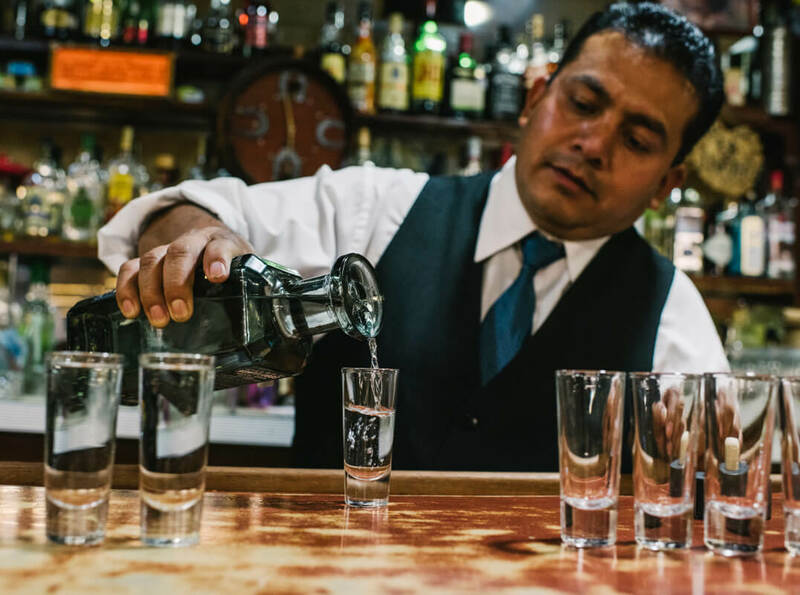 Whether you’re just getting started in the mezcal world or you’re a complete connoisseur, sit down at the bar, go with the flow and try whatever the couple serves, as they will most likely feel free to share the origin of each bottle, the story of the producers and maybe even the methods. Do come here right after lunch, as the place closes down at 11pm, unlike most bars in town. Enrique Olvera, one of the most famous chefs in Mexico, opened this spot to offer his Oaxaca-inspired creations. You enter through the kitchen, where you take a quick glance at the dishes being beautifully plated, and then walk by the comal (flat, rounded griddle) station, with the amazing smell of the corn masa cooking over wood fire. At that point you’ll be in an outdoor patio with big tables and inviting chairs. If there during morning time you’ll get to choose from a different small dishes you can easily share, such as the tamal, and the tetela. If instead you choose to go for lunch, get ready to be surprised over the seven courses in the tasting menu, with ingredients that are mostly locally sourced and seasonal and that keep changing on a daily basis. Francisco I. Madero 129, Centro. This is a perfect evening stop either if you spent the day walking around or after a night of mezcal. 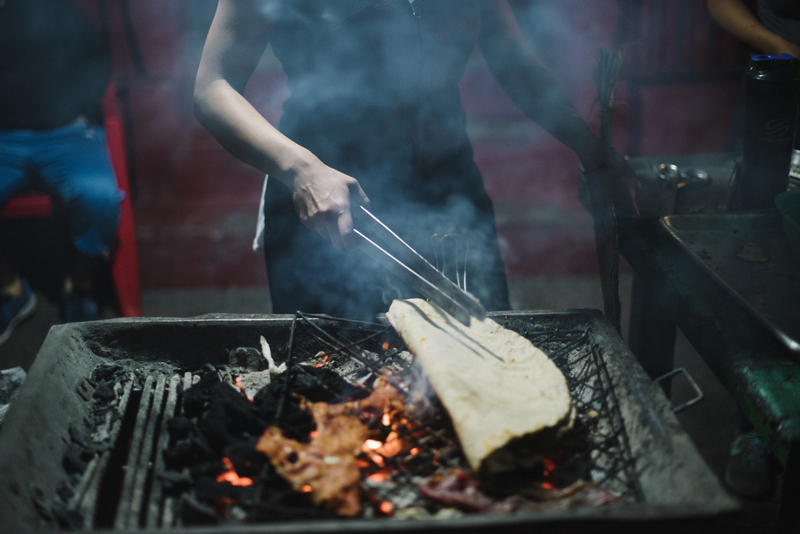 Set on a brightly lit street, this simple street cart offers a soft, perfectly cooked, tender and juicy suckling pig. Try it as a taco, on a crispy tostada, or inside a warm bun in the form of a torta sandwich. Either standing next to the wall or sitting on one of their two small benches, have a Mexican coke, order your food preferably with no salsa, so you can add to your own taste, squeeze some lime juice, add a pinch of salt and be aware of the salsa especial as it is made with tons of heat and it will have you spitting fire in one bite. It's Oaxaca at its most simple, classic and tasty. Join Battery Travel in Oaxaca in November 2019! If you dream of a vacation that lives on in memories and lessons learned, Oaxaca with Battery Travel and Modern Adventure is for you. There’s mountains, mole sauce, hip mezcalerias and Mexico’s finest dining - and plenty of time to relax and recharge. Join us in Mexico’s unforgettable Oaxaca!! Book your spot on this journey to the heart and soul of Mexico.